The Global Industry Alliance (GIA) is a new public-private partnership initiative of the IMO under the framework of the GEF-UNDP-IMO GloMEEP Project that aims to bring together maritime industry leaders to support an energy efficient and low carbon maritime transport system. Leading shipowners and operators, classification societies, engine and technology builders and suppliers, big data providers, oil companies and ports have joined hands under the GIA to collectively identify and develop innovative solutions to address common barriers to the uptake and implementation of energy efficiency technologies and operational measures. 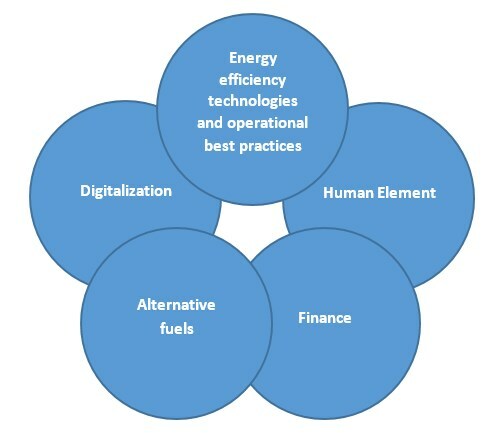 Focusing on a number of priority areas including energy efficiency technologies and operational best practices, alternative fuels, and digitalization, activities to be undertaken or promoted by the Alliance will include, inter alia: research and development; showcasing of advances in technology development and positive initiatives by the maritime sector; industry fora to encourage a global industry dialogue; and the implementation of capacity-building and information exchange activities. The GIA was officially inaugurated on 29 June 2017 at a launch ceremony held at IMO Headquarters at the margins of the first meeting of the IMO Intersessional Working Group on Reduction of GHG emissions from ships. In his GIA launch speech, IMO Secretary-General Kitack Lim said the new alliance would help shipping to make its contribution towards greenhouse gas reduction and the mitigation of climate change, a key target for the United Nations under its Sustainable Development Goals (SDGs). “What we are witnessing today is the formal start of a tried and tested partnership concept which has the potential to boost still further our efforts to kick-start the change that society demands and create a firm, tangible basis to transform the shipping sector for the better,” Mr Lim said. Following the official GIA launch, the first GIA Task Force meeting was convened to discuss work modalities and kick-off the GIA work. Click here to download the GIA flyer. For further information please contact us at glomeep@imo.org.